Make real progress with this introduction which guides you through your course with easy-to-read language and helpful images. Suitable for all awarding bodies and written by experts currently teaching Level 1 students, this book provides detailed support by following the specification clearly and simply. 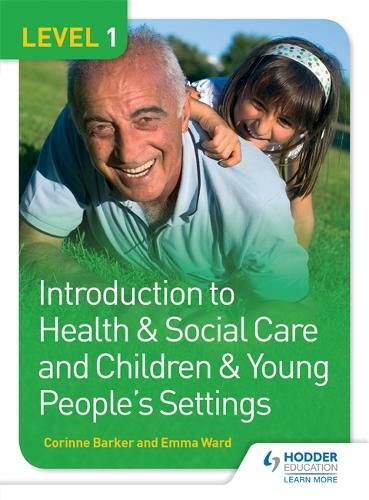 It covers all mandatory and nine optional units across both Health & Social Care and Early Years and is suitable for the Award, Certificate and Diploma. The colourful design, easy-to-read language and helpful images will ensure the relevant knowledge is easily accessed. - Matches the specification completely with strong links to the assessment criteria throughout.